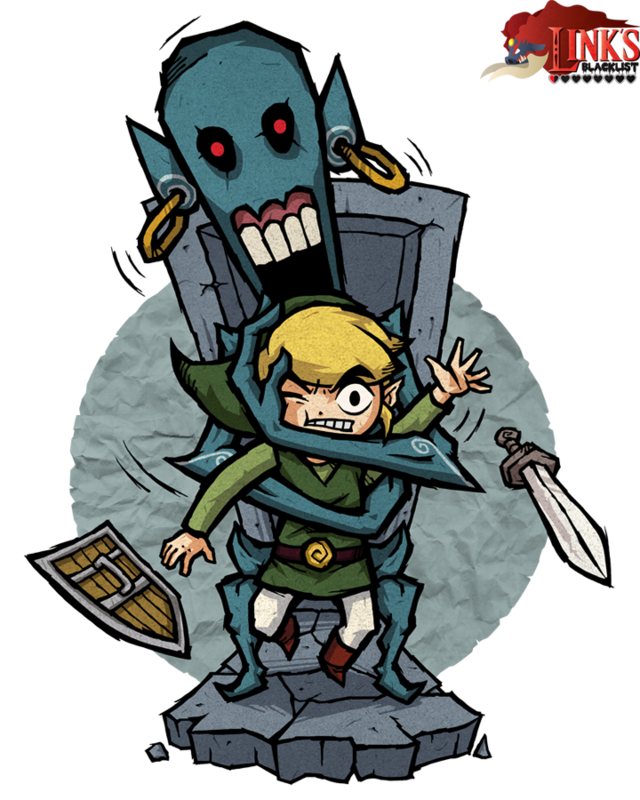 While this is probably the funniest looking piece in Link’s Blacklist so far, this is also the second Re-Dead now and even made by the same artist who submitted the Zelda-Ocarina of TimeRe-Dead in 2012 as one of the first illustrations of the Zelda Series Monsters drawn for LB! The Re-Deads are recurring enemies in the Zelda series and are among the weirdest enemies ever, they are zombie like creatures and jump out of coffins when Link gets close. They try to catch Link and hold him just like in the illustration!